Adai dosa or orange dosa as I call it is a healthy breakfast recipe from the South. Adai is a combination of rice with a range of colorful lentils all soaked together and ground to form a thick batter and later spiced up. 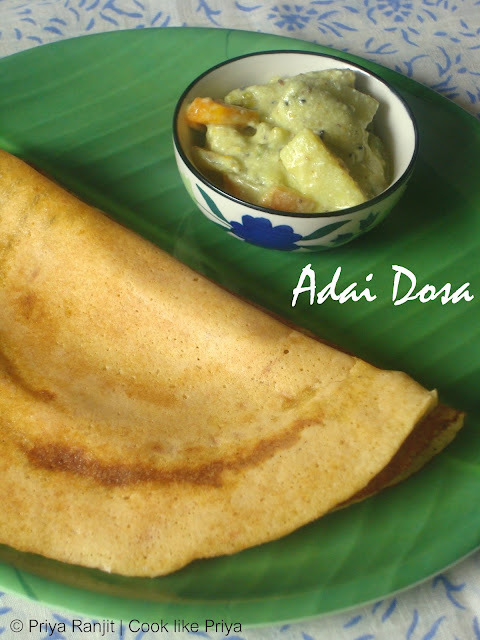 Usually Adai is served with Aviyal, I really wonder who made that pairing, it seems to work really well, but you can also make coconut chutney or any kind of chutney to go with this spicy dosa. My version of making this adai is more like dosa as I don't love to eat a very thick dosa but something that is light and filling. You can easily mix and match with the dals and still you will get a great tasting adai. Mind you the dry red chilis in this recipe might be a lot but it adds color to the dosa and also it totally depends on what kind of red chilis you use. Usually everyone says you can grind the batter using a mixer but I always prefer to grind in the table top grinder as it does the job well and I save some life to my mixer. A South Indian can never be without Idlies... Isn't this so true? Idly, Dosa, Vada, Sambar are common names down South and almost every household will have a version of their own rice batter. 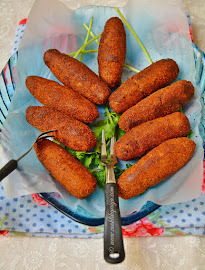 Right from babies to adults everyone seem to enjoy this traditional breakfast recipe equally. 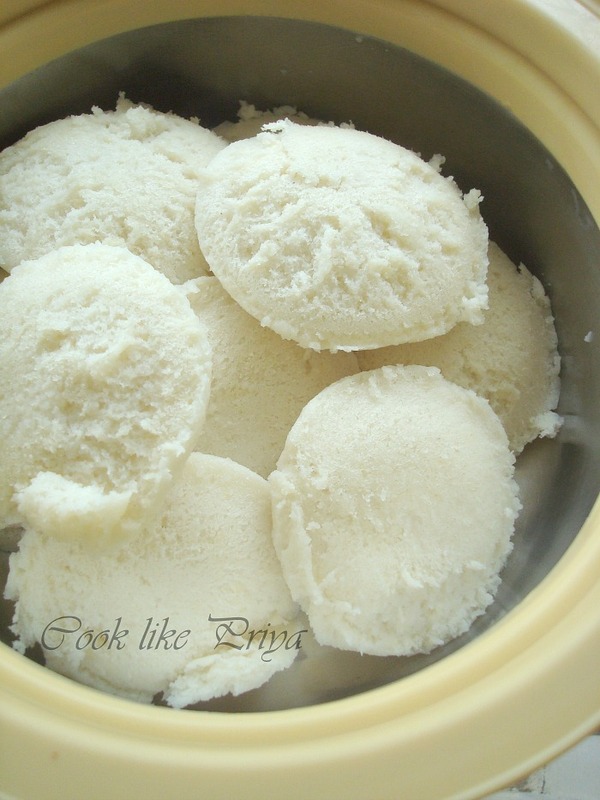 After marriage one of the challenges I had was to make idly batter and it took me a while to get the right proportion to make the perfect soft idlies. I somehow prefer the homemade idlies compared to the ones we get in tiffen centers. 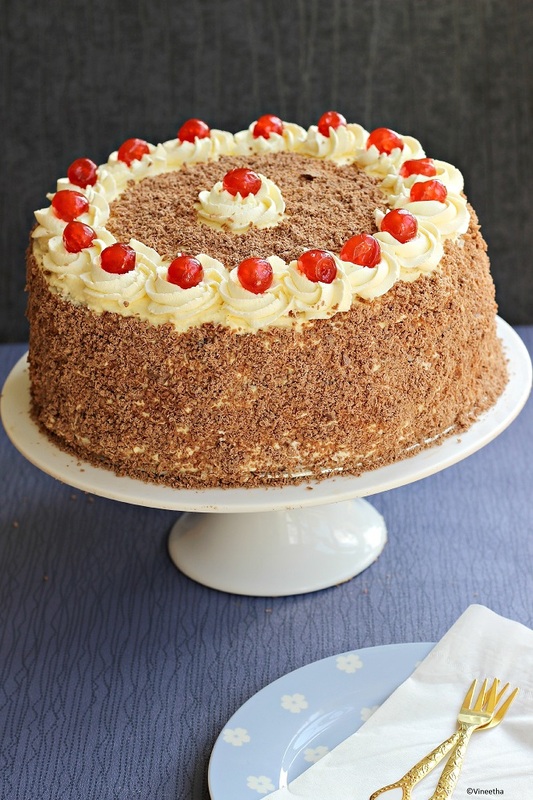 To my knowledge I have come across dozens of recipes and tried to test how it works. 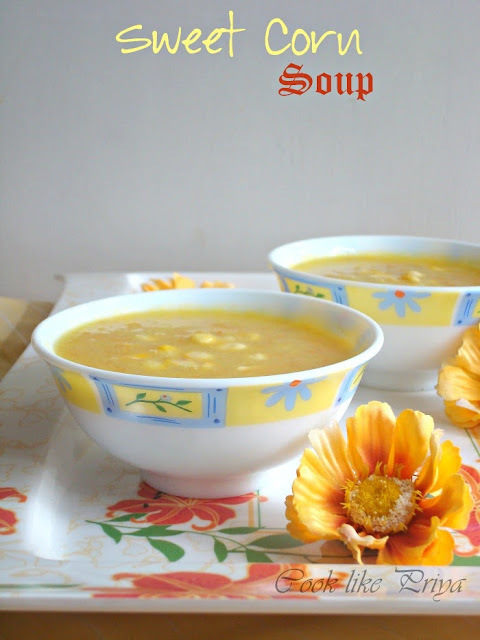 Although Amma has her traditional recipe of soaking urad dal and dly rice separately to grind into a smooth batter. I somehow consider this one recipe which is quick and easy, my go-to recipe most days. Thanks to Jeyashri for this lovely quick recipe that results in soft idlies and perfect crisp dosas. What I really love about this recipe is the simplicity of soaking all ingredients together for 4 hours and grinding it to a smooth batter and letting it ferment overnight. And the result is soft soft idlies like spongy pillows. Try it for yourself and see how much your family will love you for this perfect breakfast. We a group of blogger buddies wanted to celebrate the Birthday of Vardhini Koushik who blogs at Cooks Joy. We all wanted to celebrate her birthday by doing virtual recipe treats all picked from her lovely space. Vardhini to me is a lovely friend and a fantastic blogger, I started to visit her blog right from Dec-12 and her recipes never cease to stun me. She has a great eye for photography and I love her usage of colors in pictures and simple yet elegant plating. I am so happy to pick one of her own creations Sweet Corn Soup. I really loved it so much although I am not a soup person. Its been a while since I posted a Chicken Recipe in my blog. Not like I am not including Chicken into my diet, its just that sometimes I am not into a blog mood to plate and capture what I cook, does this happen to you? 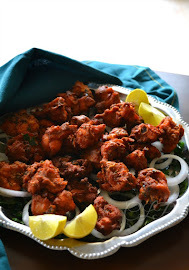 So after a long halt I am back with one finger licking chicken recipe that was a super hit at home over the weekend. 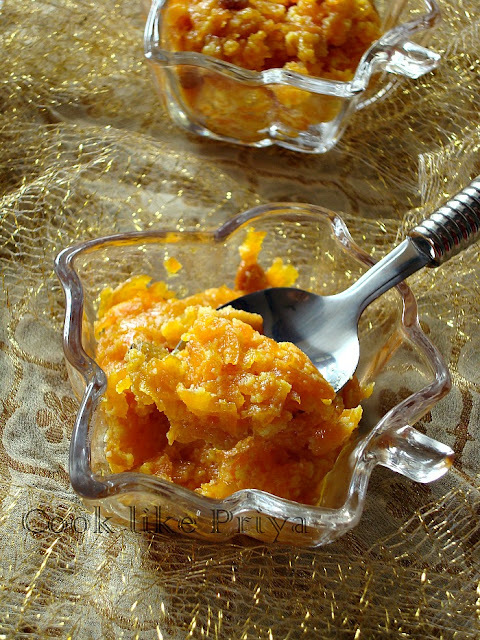 The aroma of ghee and the freshly ground spices gives a natural lift in flavor. 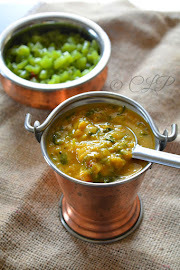 Don't panic when you hear the word ghee in this recipe, well that's the main ingredient for this one so may be you can adjust the amount of ghee to the recipe but still you are sure to fall in love with the flavors. Also one important thing to note is that this recipe does not call for any onions and tomato, can you believe that? well you sure have to... 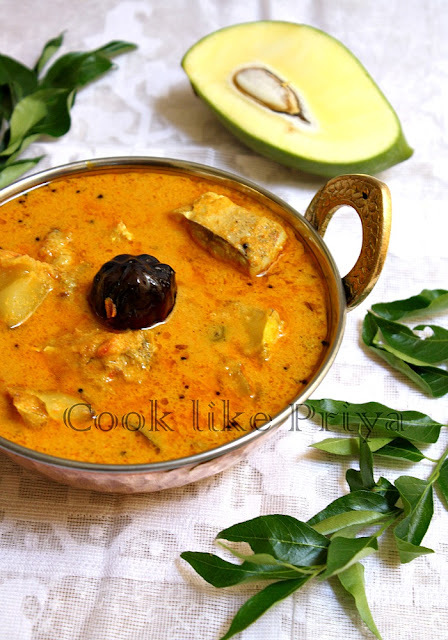 I made this curry to go with the usual South Indian staples Sambar and Rasam. 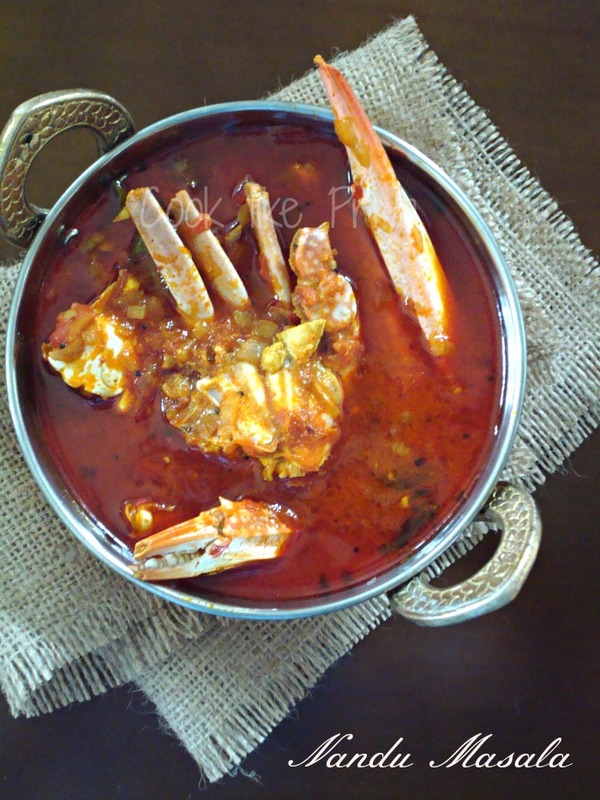 Although I surely recommend to make it along with Jeera rice or any kind of Pulao or Rice recipe. 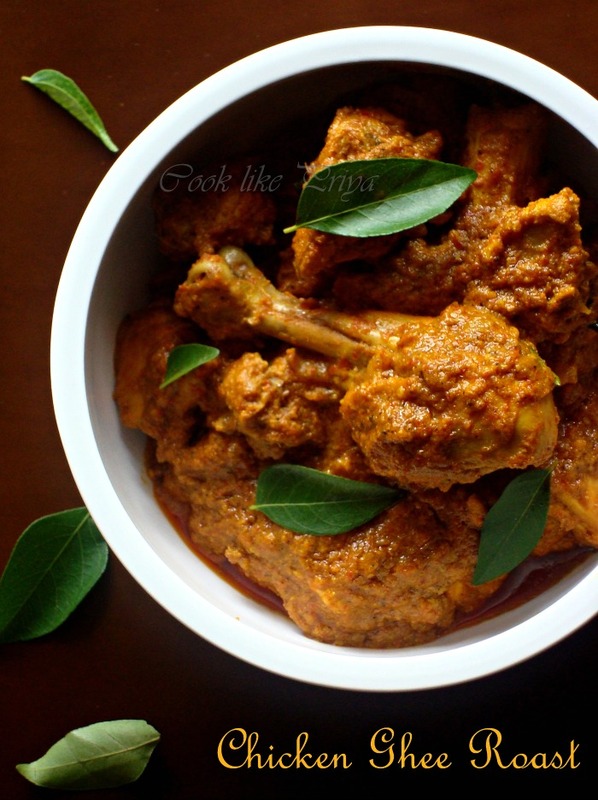 Chicken Ghee Roast is a famous chicken side from Mangalore. Its spicy and tangy, although you can adjust the spice level to suit you. Another important thing to note is that I used dry red chilli and mind you the color of the dish does really vary depending on the kind of red chilli you use. In case you are someone who does not like too much spice to the dish just reduce the number of dry red chilli and add 1 tsp of kashmiri red chilli powder, it gives a lovely color and the spice is moderate too. 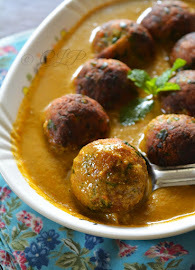 Wheat Ladoo was another recipe that I picked up from Divya Pramil's space for her virtual birthday party due to some other commitments I took time to post this recipe in my blog. 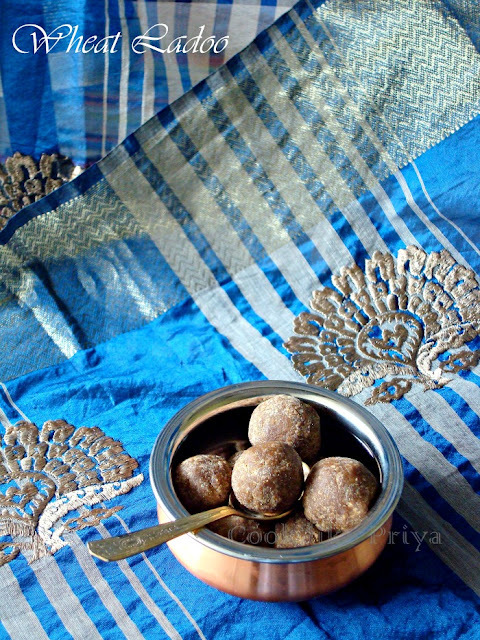 So here it is a lovely perfectly sweet and totally guilt free ladoos without any ghee / fattening ingredient. 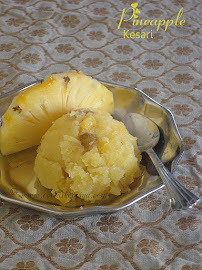 Although I bought palm jaggery long back in the idea of using it I never really used it up and was wondering what to do with it, that's when I saw this recipe in Div's space and thought I will give it a try. I tried it right after lunch on a Saturday evening wondering how to satisfy the sweet tooth and this sure did satisfy my craving for something sweet. Verdict - We both really loved these guilt free ladoos :-) they are mild in sweetness and taste great. Its really a pure joy for me to share my little blog with some of my wonderful friends who are bloggers too. Today I have a special friend who has amazed me with her bakes and Indian recipes so much that I almost seem to drool over her creations every single time. She is one charming person who is so friendly, caring and someone who is a pure joy to be around with, I am sure you must have guested who is it by just looking at the cake above ;-) its none other than Vineetha Susheeb who blogs at Malabar Ruchi. Vinee as I call her is one of the bloggers whom I have meet in real life too. She is an excellent baker and surely has an eye for detail to all her recipes. Vinee you already know this I not only admire your recipes but also your lovely photography skills that simply bring out all your luscious creations. If there is one vegetable that I really love it would be Brinjal, the irony is I don't have much recipes featuring this vegetable in my blog. 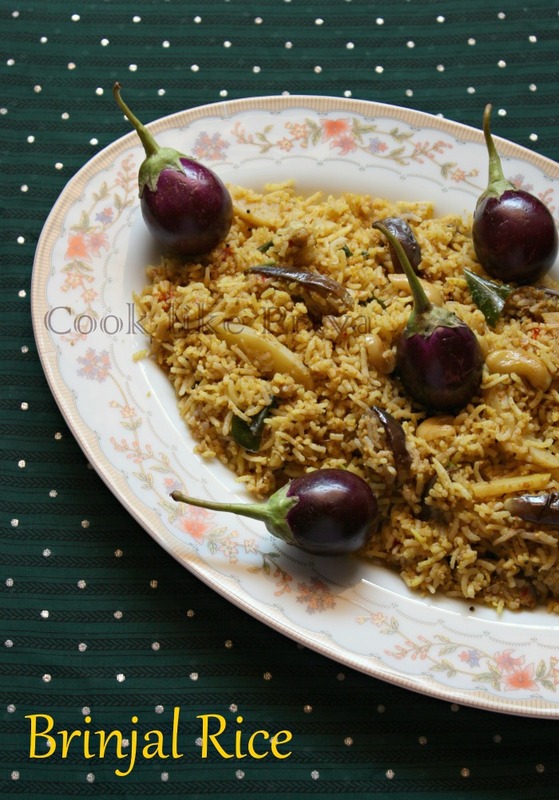 Hopefully before completing another year I post few of my favorite dishes using brinjal. When I was home a month back Amma prepared Vangi Bath something which is very famous in Karnataka and Andhra, for me it was the very first time that I ever tried it. Now you know what would have happened I totally fell in love with it, simply because it had Amma's magic touch ;-) and also that it had brinjals. Today is a special day, we a group of blogger buddies planned to celebrate a virtual Birthday of our dear and lovely friend Divya Pramil who blogs at youtoocancook. She is one of my closest buds when it comes to blogging, cooking and also she is a younger sister to me. I have had the privilege to meet her in person few months ago and she is as beautiful as her personality. I really want to thank God for giving me such a lovely person in my life and also for my blogging platform without which I am not sure how we would have met. Divya is a wonderful and most famous blogger whom I am sure you would know and needs no introduction. She is fantastic in all that she does, although she is younger to me I admire her a lot as a blogger and as well as an individual. She is way to humble to accept compliments and there are very few friends who really stay with you. Divya is one of those who has helped me in my blog journey and also a sister with whom i share loads, apart from blogging too. As I said we wanted to celebrate Divya's Birthday by cooking, clicking and posting one of her famous recipe and publishing it together. I have lagged back in the publishing part since I was not keeping to well. But somehow I wanted to post the recipe on her special day. Divya sis hope you are having a wonderful day and this is a good surprise for you. Hugs and wishing you many many more happy returns of the day.